Go to the grocery store right now and pick up some almonds. 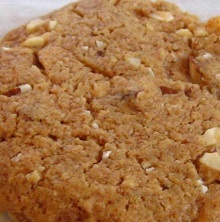 This almond cookie recipe is the best dessert I've had after a good meal. Almonds also make the house smell great when combined with the smell of cookies.